Google AdSense Publishers Can't Do Direct Ad Deals? 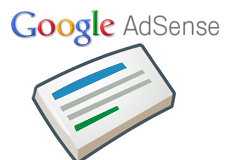 Home > Google News > Google AdSense > Can AdSense Publishers Sell Direct Ads? Can AdSense Publishers Sell Direct Ads? A WebmasterWorld thread asks a question that is so obvious and basic that I've never thought of it or even seen it asked before in the forums. The question is, can Google AdSense publishers also sell ads directly to advertisers who contact them? Like we do on this site, we have ad relationships with advertisers directly and also have some AdSense spots on the site. This is incredibly common, most big web sites have direct ads and supplement the open slots with house ads or AdSense ads. So why would it be an issue? Communications Solely With Google. You agree to direct to Google, and not to any advertiser, any communication regarding any Ad(s) or Link(s) displayed in connection with Your Property(ies). I am not a lawyer but it seems all your ad deals, if you have any AdSense ads on your site, must go through Google? IMHO, I would notify Google of the contact. It is not worth jeopardizing a long term relationship for a short term gain. Who is to say the advertiser would not bail on you as they are obviously willing to bail on Google. Then what do you do? I assume 99% of you who sell ads would never contact Google about selling direct ads on your site. Am I reading the legalize right or is this an non issue?